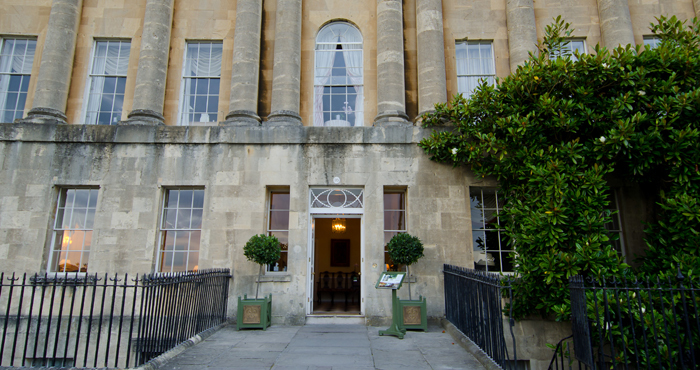 The Spa & Bath House at The Royal Crescent Hotel offers an escape to peace and tranquillity. The use of natural woods, bamboo, pebbles and slate compliments the classic Bath architecture to create a soothing and holistic haven. The pool space feels almost cathedral-like with gothic windows, don’t forget to take a dip in the barrel hot tubs! This little-known gem in the heart of the city is a secret to be shared. Dining is available for spa guests in the secluded Spa Garden, which guests can enjoy at their leisure in their spa robes. Treatments are available daily 9am to 7pm. Spa use: Monday to Friday 7am to 9pm; Saturday, Sunday and Bank Holidays: 8am to 8pm. Includes 1 x 60 minute treatment, Afternoon Tea and 2 hours use of the facilities.